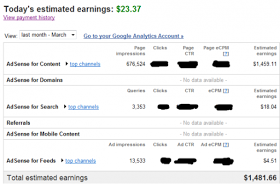 Google Adsense Revenue has been the best when you talk of earning online. Are you an online business man, running a website or blogger blog, you can testify about this. Although, other alternatives for earning which include infolinks, revenuehit, ad.fly, content.ad, speedy ads, affiliate programs like konga, jumia etc, pays as well, but cannot be compared to what Google AdSense offers. Today, I will be showing you many tips on how I have been boosting my Google Adsense revenue and guess what, it is working like magic. Adsense gives users many functions like section targeting, also how to remove low paying ads category, ad blacklist and so many other features that can be utilized by anyone using it, in order to give a significant boost to their Adsense income or earnings. Techbmc saw the need of coming up with this post, for upcoming bloggers and new users to Adsense, this tips here will go a long way in increasing your earnings automatically. Only what to do, is to read and understand the tips provided below and make sure you apply. FOR YOUR OWN GOOD CLICK TO READ: Google Adsense Now Suspend Any Publisher That Encourage Invalid Activity For 30days. Adsense sometimes works in a different dimension for different users, Some people earn more through text ads, while some through image ads. But for better usage and for high earning, I will encourage you to use both text and image ads. That of the ads that shows image pays via PPV and gains much for you. 27. Drive traffic to your blogs by SEO and backlinks. 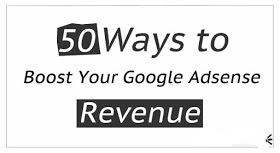 This provided tips can go a long way in boosting your Google AdSense, but as the day goes by, more tips will be updated for you guys on how to keep on increasing your ads earnings. And never to forget, if you are a beginner or you got your AdSense newly then, I recommended you read about basics of Adsense terms, like ROI, CPC and custom channels. With the knowledge of these things, you can be able to manage and understand how Google AdSense operates or performs. These tips above are applicable to anyone using any host, might be WordPress, Google blogger, Joomla, Wapka, free hosting sites etc as long as your site or blog has Google AdSense. You are entitled to apply the above. Always remember to Share to friends in need by using the share button below.